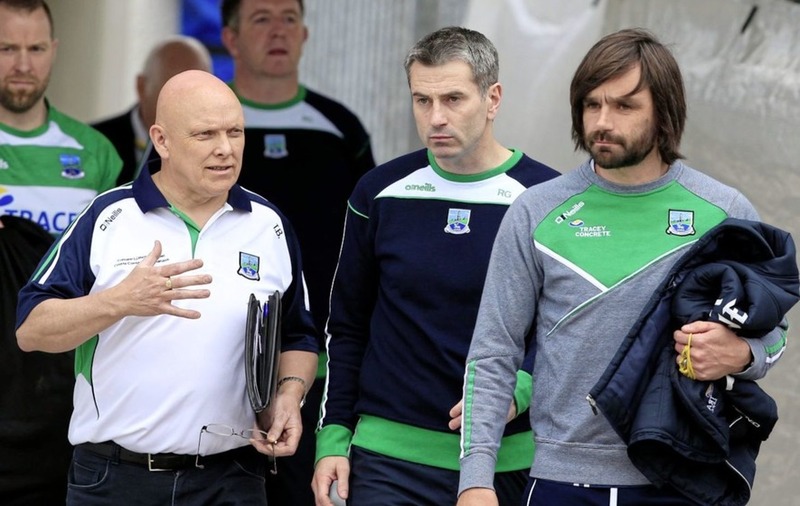 Fermanagh manager Rory Gallagher plotted a way past Armagh, but Monaghan is a much harder nut to crack. HOT favourites Monaghan were caught cold at this stage last year by a fearless Down outfit who had beaten Armagh and went into their semi-final with nothing to lose. The Farneymen were short of their best that day and that was enough for a shock. Tomorrow they face an experienced Fermanagh side – old dogs for the hard road – who will be driven on by Rory Gallagher to fight, run and scrap for every ball and create another upset. Like Down, Gallagher's men beat Armagh and they have the wind in their sails after an impressive victory that was the result of meticulous planning by the Belleek native who had watched from the sideline at Croke Park as the Orchardmen won the Division Three final. As Armagh celebrated, Gallagher set his mind to coming up with a gameplan to turn the tables in the Championship and he did just that. 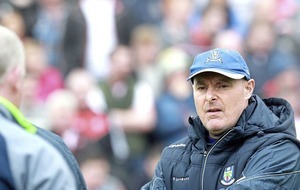 A fortnight on, he has to come up with a plan to sink a Monaghan side that dethroned three in-a-row chasing Tyrone in the game of the Championship so far. “You follow the same routine, except you have to do it a lot quicker,” said Gallagher as he looked ahead to the game. “You've two weeks and you've got to put a couple of months preparation into those two weeks, but that's the nature of it and it's an exciting place to be. Gallagher comes up against his fellow Fermanagh native Malachy O'Rourke tomorrow in what should be an intriguing tactical battle. Now in his sixth season as Monaghan bainisteoir, canny man-manager O'Rourke has assembled a talented squad that is packed with experience and quality. While the rest of the country moans about players walking away, Monaghan stick together and O'Rourke has been able to keep veterans like Vinny Corey and Dessie Mone on board while bringing through youngsters like Jack McCarron and Conor McCarthy. There is a focus and a unity of purpose about this panel and the product is a Monaghan team that defends as a unit and attacks as a unit. Everybody does his job and they can all do so many jobs. Conor McManus is the marquee forward, but he'll pop up in defence tomorrow while goalkeeper/sweeper Rory Beggan is invariably one of the leading scorers. This is a Monaghan machine; a free-flowing, streamlined juggernaut that made Tyrone's system look negative and laboured at times during their quarter-final meeting. Virtually every time Monaghan got their hands on the ball in that high-quality encounter at Healy Park, they did something with it. There was either a score or a wide, or they earned a free and McManus, Beggan and Jack McCarron gobbled them up all afternoon. Monaghan swarmed the Tyrone kick-outs. When the ball was in the air, men in blue jerseys followed its trajectory and converged from all over the field to where it landed and, when it broke, the Red Hands found themselves out-numbered and beaten. 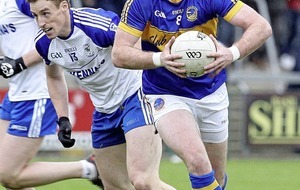 Then, with the ball in their hands, Monaghan moved forward across the width of the pitch, switching the play seamlessly. The man in possession had options left and right and the players on the flanks never strayed ahead of the play. When the ball came his way, the wide man was able to break inside on the sort of angled run defenders hate and either get a shot off or find one of the runners cutting through the centre. Tyrone had everyone in their own half on several occasions, but still they couldn't blunt Monaghan's attack and they conceded 1-18. That's six points more than any Ulster side managed against the Red Hands last year and only two points less than the 2-17 Dublin scored in the All-Ireland semi-final. Fermanagh lost to their neighbours by nine points in a low-key Ulster opener last year and by 10 in 2015. There was only a point in it after 44 minutes in last year's meeting, but Monaghan moved through the gears in the closing stages and scored 11 times to Fermanagh's three. Nine points is a considerable gap to bridge, but remember how Armagh beat the Ernemen out of the Athletic Grounds gates in last year's Qualifiers and motivated Fermanagh gave the lie to that result two weeks ago when the Orchardmen gave them far too much time on the ball in the middle third. With the Quigley brothers, Sean and Seamus, up front, they pack an unorthodox punch and manager Gallagher, who has the astute Ryan McMenamin for company in the dugout, will hope for more from Conall Jones tomorrow. 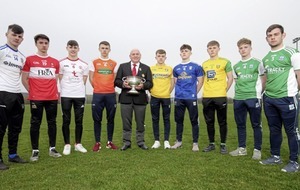 Meanwhile, in midfield, Eoin Donnelly and Ryan Jones are a capable and robust pair who can depend on support from the likes of Paul McCusker and his pacey brother Declan as well as Aidan Breen, Barry Mulrone and Kane Connor. James McMahon is well suited to the sweeper role while full-back Che Cullen is equipped to handle a physical exchange with Jack McCarron and Mickey Jones is a determined man-marker. Fermanagh are well set-up, experienced and defensively determined but there is a feeling that they showed their hand against Armagh and the tactics they employed against them won't work tomorrow. Malachy O'Rourke will have noted the space and time Armagh afforded the Ernemen to build attacks and how easily they were held up and turned over when they attacked. They won't get it tomorrow, but even with it, Fermanagh managed a dozen points against Armagh and that will not be enough to stop a Monaghan side that is packed full of scoring options and has quality to bring in off the bench. Fermanagh will stay in the hunt tomorrow and hope to drag Monaghan into a scrap. But if Monaghan maintain the standards they set against Tyrone, remain disciplined in possession, they'll pull away in the second half and win this game by five points at least.